London can offer every travellers something to do, no matter what they enjoy, it has been said. According to a spokesperson from VisitBritain, the Capital boasts a "wealth of attractions" which can rival any other destination around the world. While travel insurance may not seem as important for domestic breaks, holidaymakers could still experience the same problems - such as lost luggage - so holiday insurance could be a wise buy. 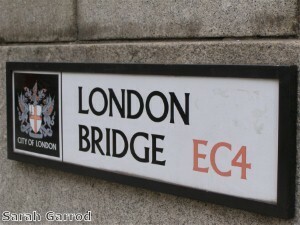 A recent survey from Garmin showed that more than a fifth of Brits are planning on taking a trip to London this summer. The city was also voted the top UK holiday hotspot by respondents. Out of those polled, 24 per cent said they plan to visit Buckingham Palace, Big Ben, London Bridge and the Tower of London. As well as London, cities such as Manchester and Liverpool are set to receive an influx of tourists this year, noted Garmin.